Honor V20 Moschino Edition goes on sale - Playfuldroid! 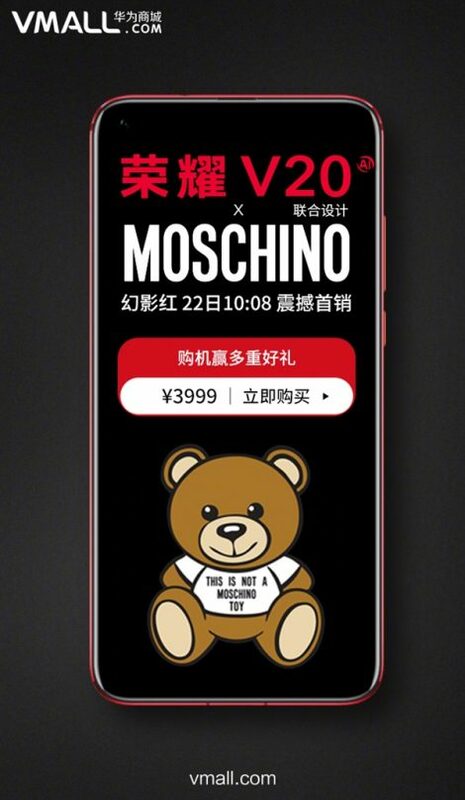 Earlier today, the Honor V20 Moschino Edition has finally go on its debut sales in China through their official online retailer Vmall. The device comes with a rather hefty price tag of 3,999 Yuan (USD$ 588) and is available only in 8GB+258GB memory configuration. 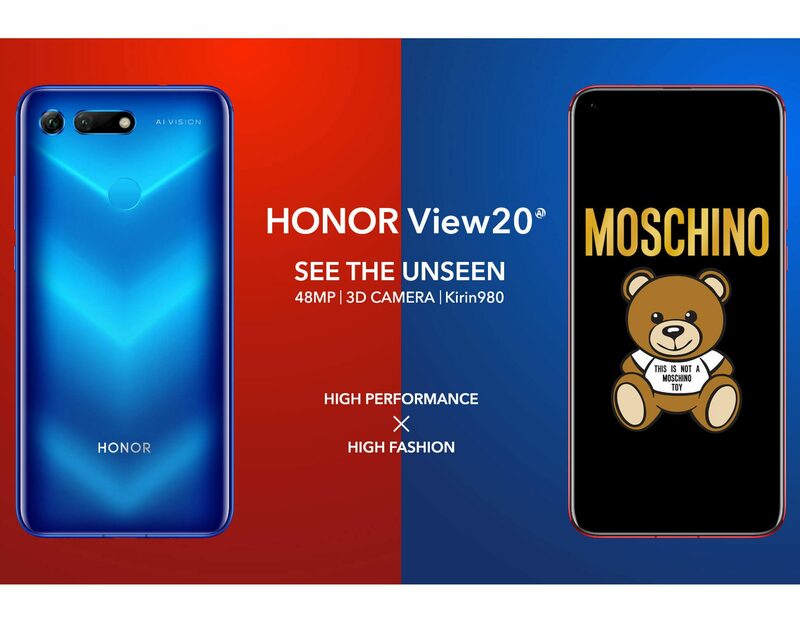 Although the Honor V20 Moschino Edition was announced with two different color options during the December launch event, but only the Phantom Blue version is currently available for sale. As for the Phantom Red version, it has already been sold out shortly after it went on sale today. Aside from its aesthetic differences and buffed up storage space, the Honor V20 Moschino Edition will come with similar specifications as the other Honor V20 model. According to George Zhao, President of HONOR, the HONOR V20 MOSCHINO Edition is a bold crossover that will revolutionize the fashion experience of younger users around the world. On the side note, Huawei will officially launch the Honor V20 in Singapore on January 24th later this week.